Turn in Greek God Poster in the tray in the back. 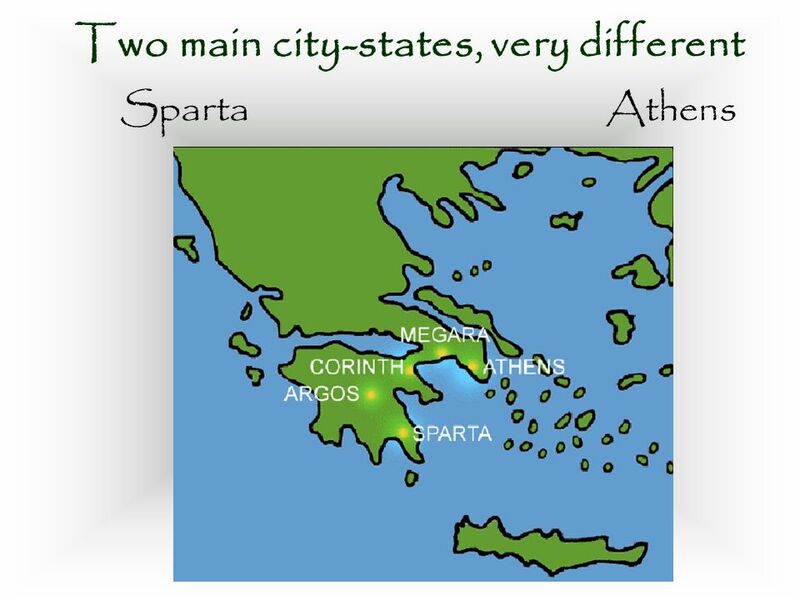 City-States of Athens and Sparta #30. 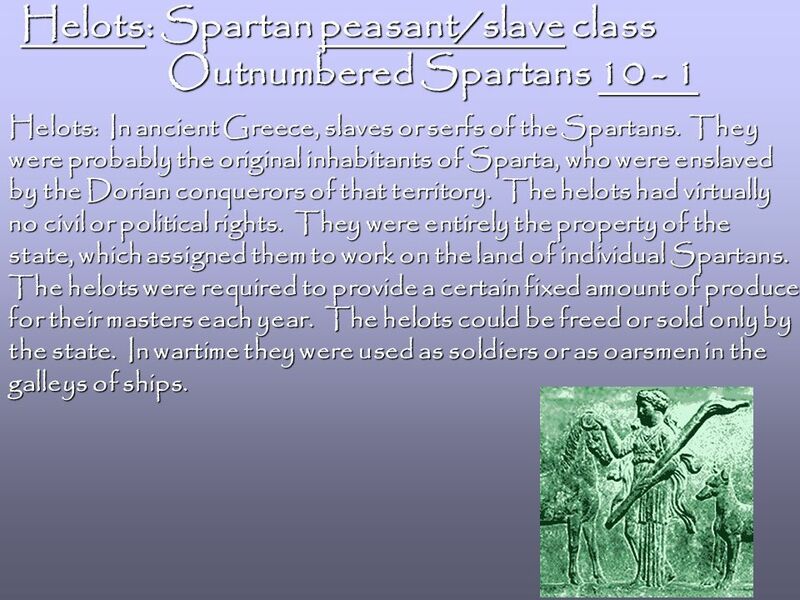 9 Helots: Spartan peasant/slave class Outnumbered Spartans 10 - 1 Outnumbered Spartans 10 - 1 Helots: In ancient Greece, slaves or serfs of the Spartans. They were probably the original inhabitants of Sparta, who were enslaved by the Dorian conquerors of that territory. The helots had virtually no civil or political rights. 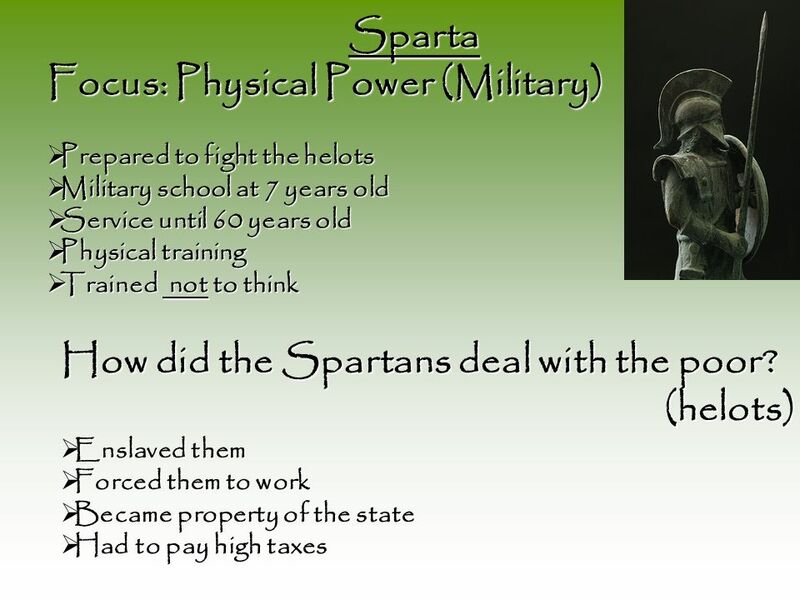 They were entirely the property of the state, which assigned them to work on the land of individual Spartans. The helots were required to provide a certain fixed amount of produce for their masters each year. The helots could be freed or sold only by the state. In wartime they were used as soldiers or as oarsmen in the galleys of ships. 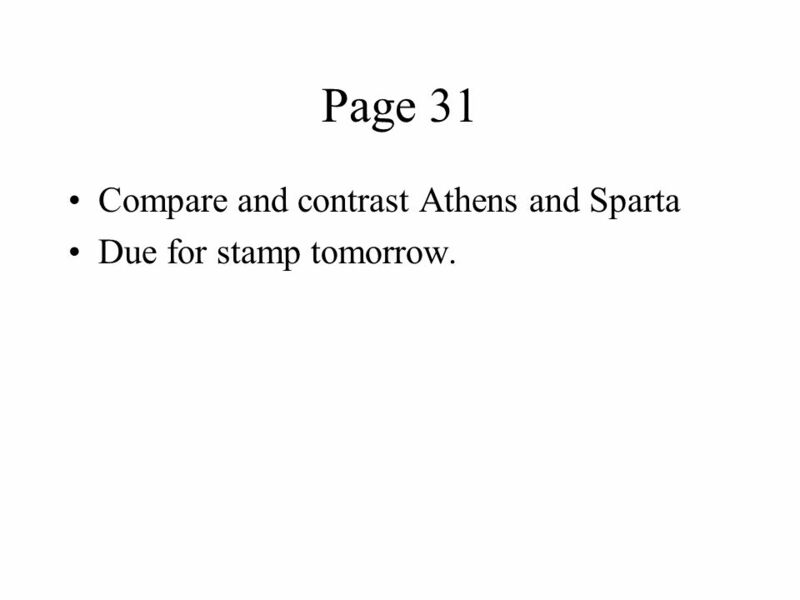 12 Page 31 Compare and contrast Athens and Sparta Due for stamp tomorrow. Download ppt "Turn in Greek God Poster in the tray in the back. City-States of Athens and Sparta #30." 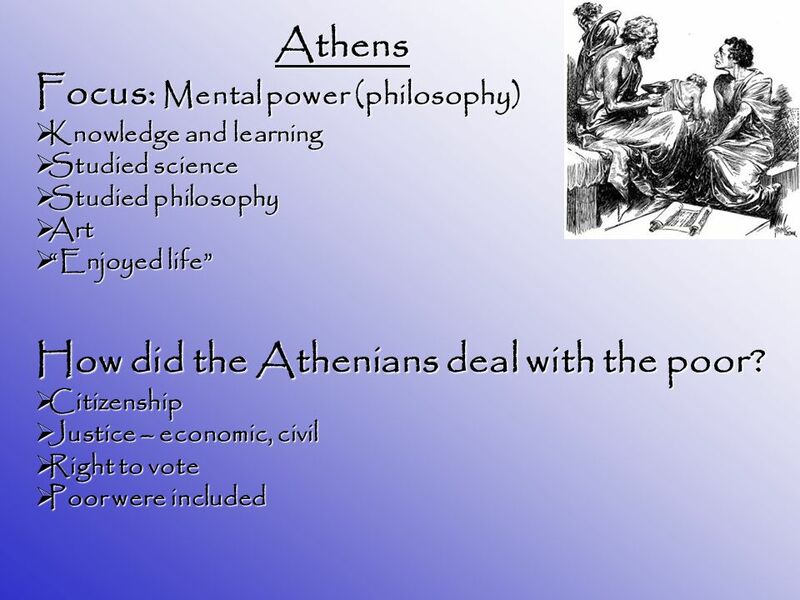 Tuesday 10/11 : Greece  Objective: Learn about Ancient Greece and how its power structures developed.  Bell Work: Get out your paragraph assignment from. GREEK CITY-STATES. WARM-UP Imagine that you were in a situation in which you had to break the law in order to remain loyal to your family/friends. What. THE CITY-STATE: SPARTA Matthew Lewis ED 639 October 22, 2002. GREECE. GREECE GEOGRAPHY The Sea –Greece is a peninsula surrounded by the sea. 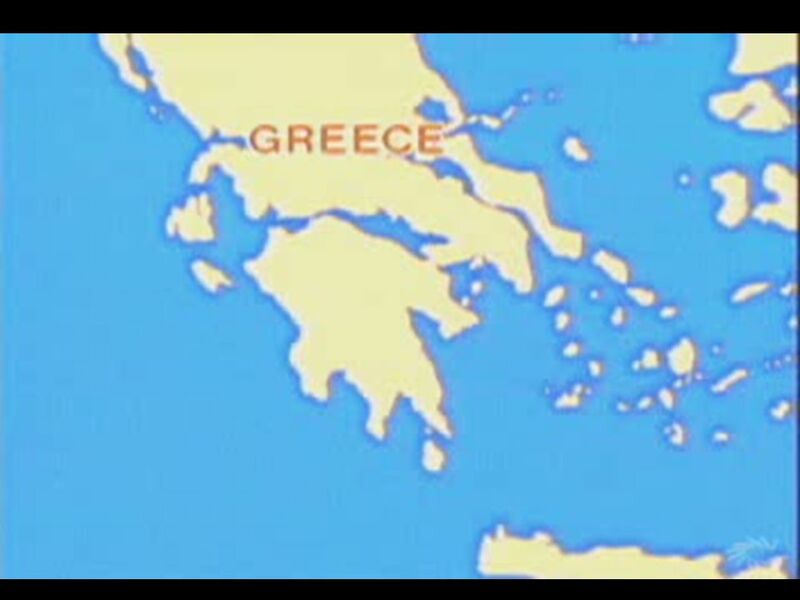 GREECE GEOGRAPHY. 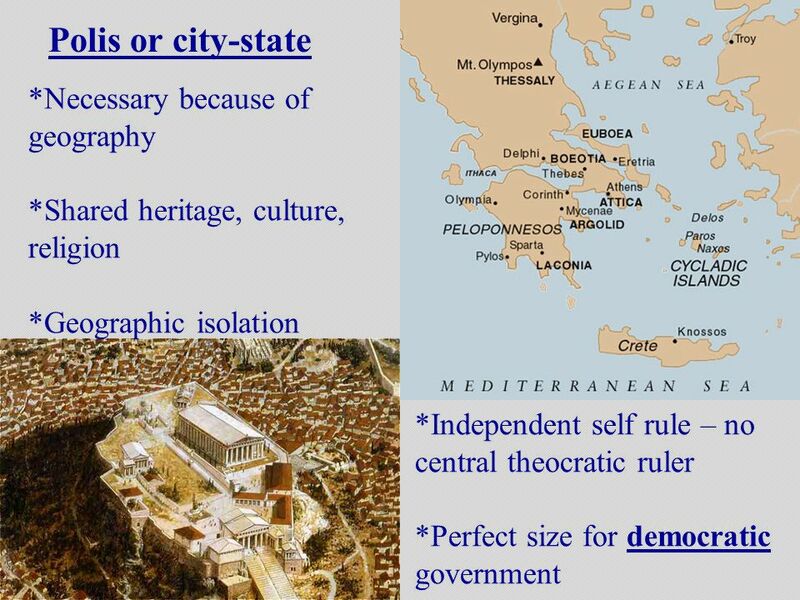 Objectives Understand how geography influenced the Greek city-states. Ancient Greece B.C.E. AutoRun PPS 12” Or click. 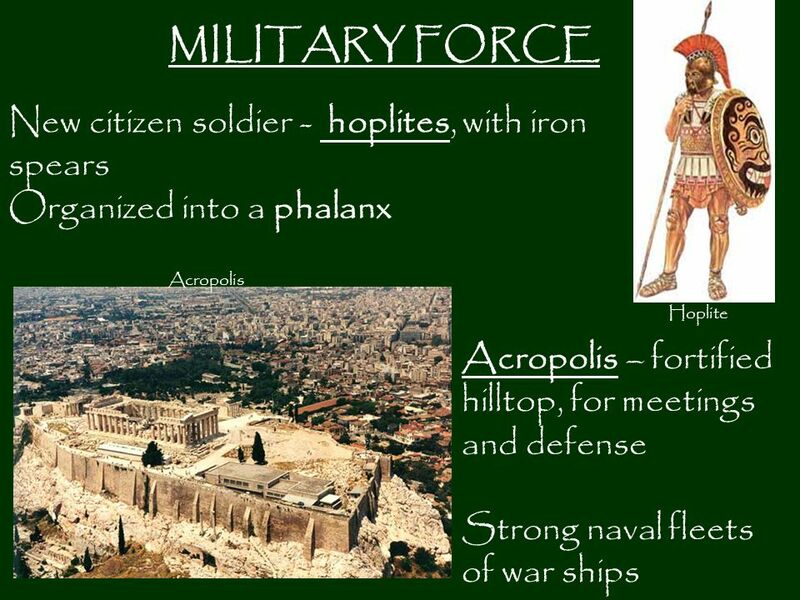 Take out a piece of paper for 3.2 notes.. Polis: The Center of Greek Life City state or polis-city with own economy and government-controlled surrounding. 2 pt 3 pt 4 pt 5pt 1 pt 2 pt 3 pt 4 pt 5 pt 1 pt 2pt 3 pt 4pt 5 pt 1pt 2pt 3 pt 4 pt 5 pt 1 pt 2 pt 3 pt 4pt 5 pt 1pt Vocabulary GeographyAthensSparta. Acropolis The acropolis the highest point in a Greek city state. There were important buildings there like temples. Athena’s temple, the Parthenon, stood. The Ancient Greeks The Geography of Greece Mainland Greece is a mountainous peninsula—a body of land with water on three sides. The Ionian Sea is. 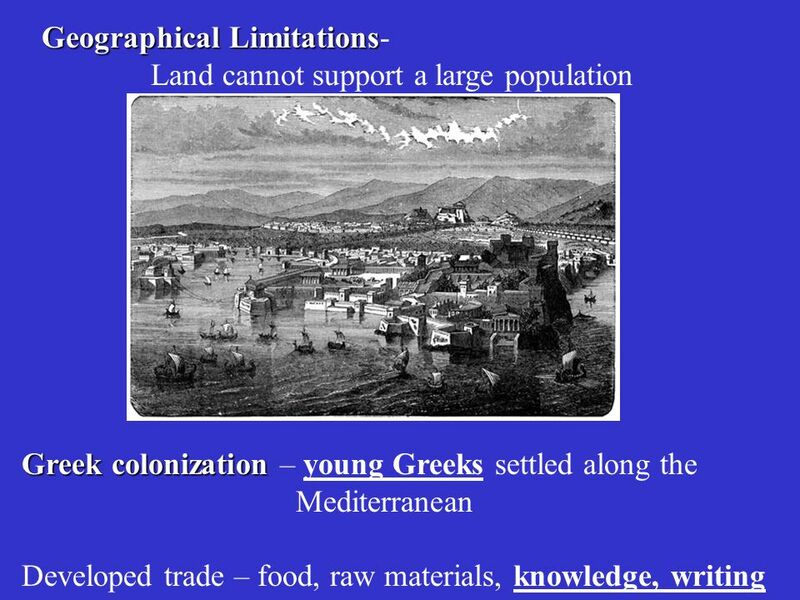 Ancient Greece B.C.E.. Geography Greece is a peninsula about the size of Louisiana in the Mediterranean Sea. It’s very close to Egypt, the Persian. 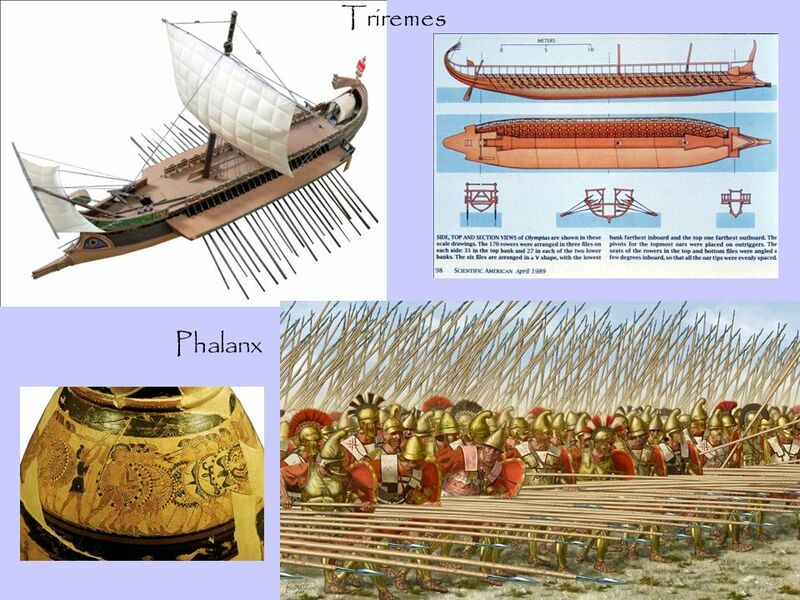 Tuesday, August 30, 2011 Agenda  Bell Assignment  Comparing Athens/Sparta – Individual Work  Complete Propaganda Poster!   Write a response to the Central. 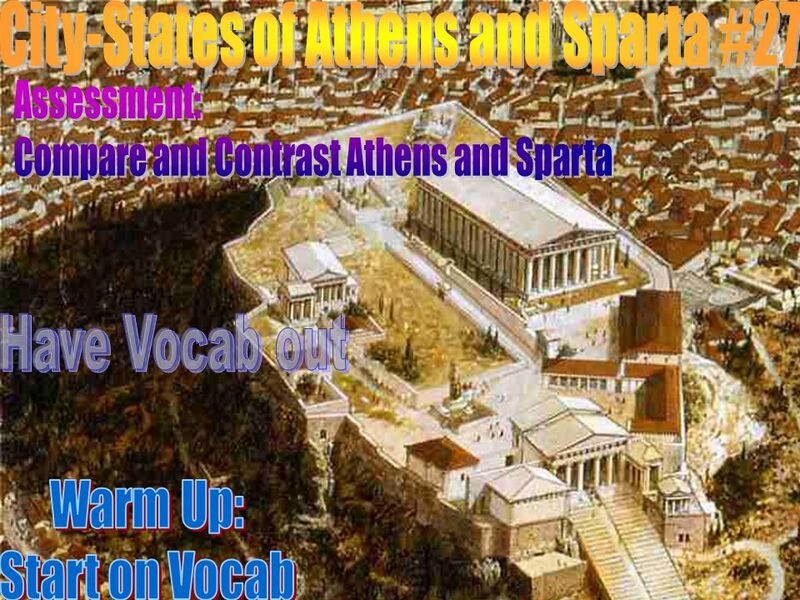 The Greek City-States In this lesson, students will identify characteristics of the Greek city-states. Students will be able to identify and/ or define. Chapter 5 Section 2 Notes.